We had planed to staying at Serein Beach Hotel three days, but as soon as we stepped into the lovely lobby/ restaurant of the hotel we knew that we wanted to stay longer. 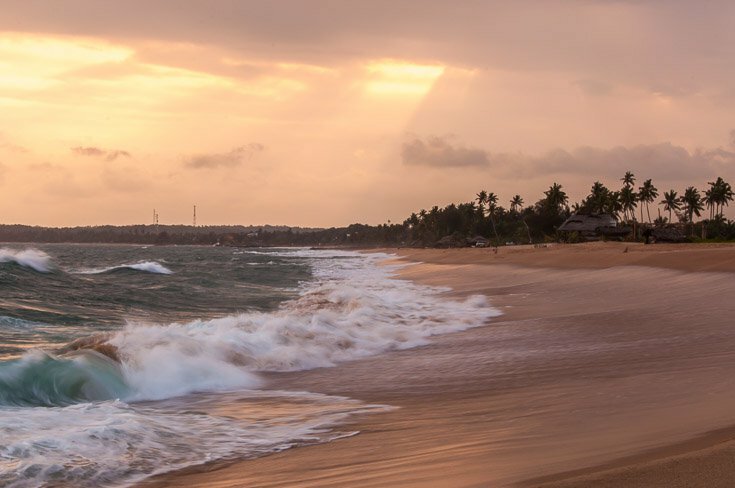 It is such a unique and nice hotel, with a great atmosphere located right on one of the most beautiful beaches in Sri Lanka. We arrived at the hotel with a tuk-tuk, from Mirissa. 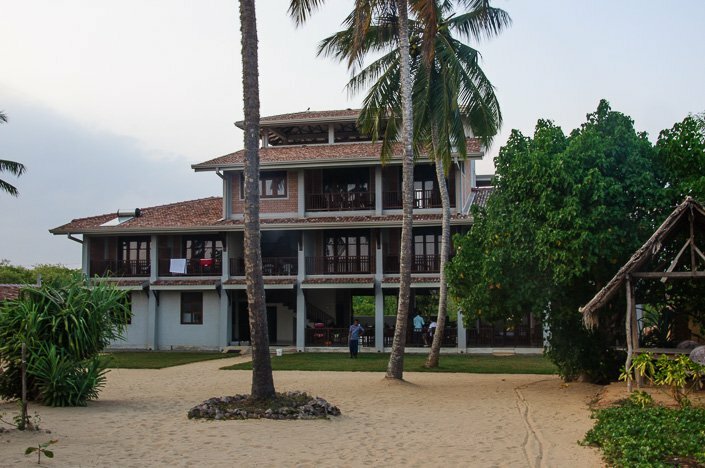 The hotel is located about 15 minutes walk from Tangalla town, and is one of few hotels at this part of the Tangalla Beach. The hotel is brand new, opened December 2013, and is built with solid bricks, recycled old timber and eco friendly material. The design is modern, unique, basic and simple. It works very well and is kind of cool. It is very different for all other hotels we stayed at in Sri Lanka. The hotel has three floor, and 10 rooms. 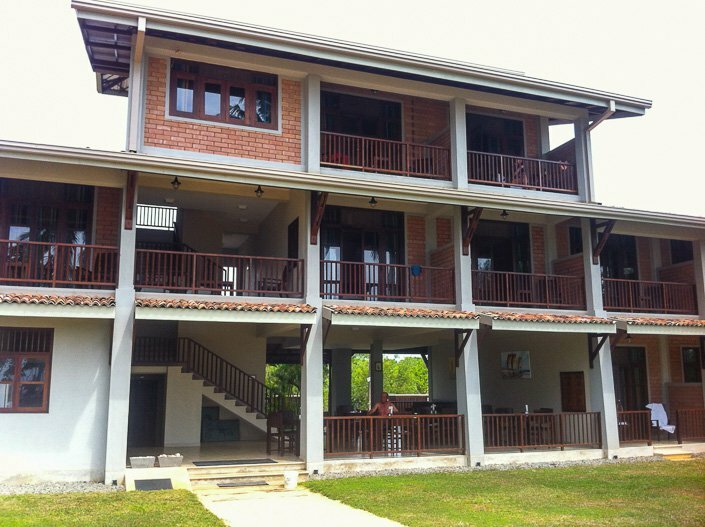 Serein Beach Hotel consists of three floors, and has 10 rooms that all have balconies with sea view. 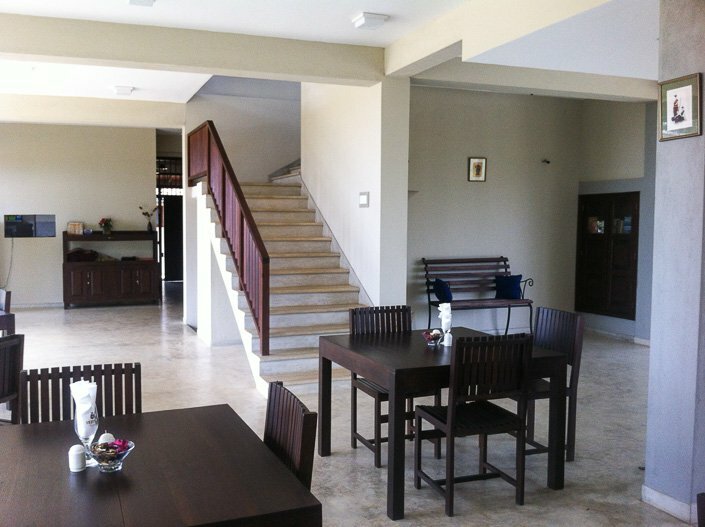 Downstairs the whole floor is an open lobby lounge/ restaurant with a great view overlooking the garden, beach and sea. The sea breeze makes it airy and comfortable even at midday. Great view from the restaurant! This lovely sofa welcomes you once you enter the lobby. The hotel has some nice decor elements, that gives it a rustic and colonial style. Nice antique cupboard in the restaurant. The restaurant serves both western and Sri Lankan food. We had breakfast here every day, which is included in the rate, and it was very tasty! One of the best breakfast we have had in Sri Lanka. One morning we even got to try Sri Lankan breakfast, sweet potato with coconut, delicious! We also ate almost all our dinners here. The second floor consists of a rooftop deck, overlooking the sea, with amazing views! Perfect for bird watching and relaxing. 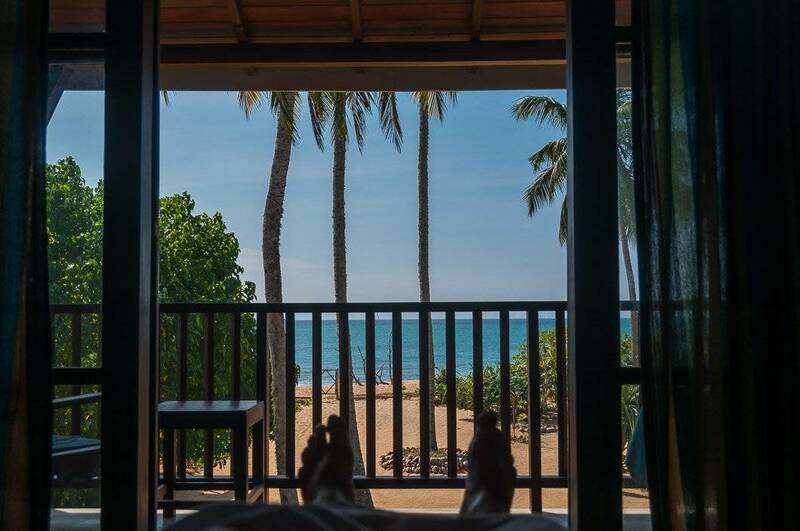 All rooms have a private bathroom, and a balcony with breathtaking views over the garden, beach, and sea! The perfect place to sit and relax after a day at the beach, with a glass of cold white wine or a beer, listening to the hundreds of colorful birds that gathers in the palm trees in the hotel`s garden every afternoon around sunset. Me at the balcony in our room. The hotel does not have air-condition, but it is really not needed. All the rooms have a natural cooling effect provided by the soil bricks, that together with the ceiling fan gives a nice eco-friendly cooling. We did not miss the air-conditioning at all! Our room. 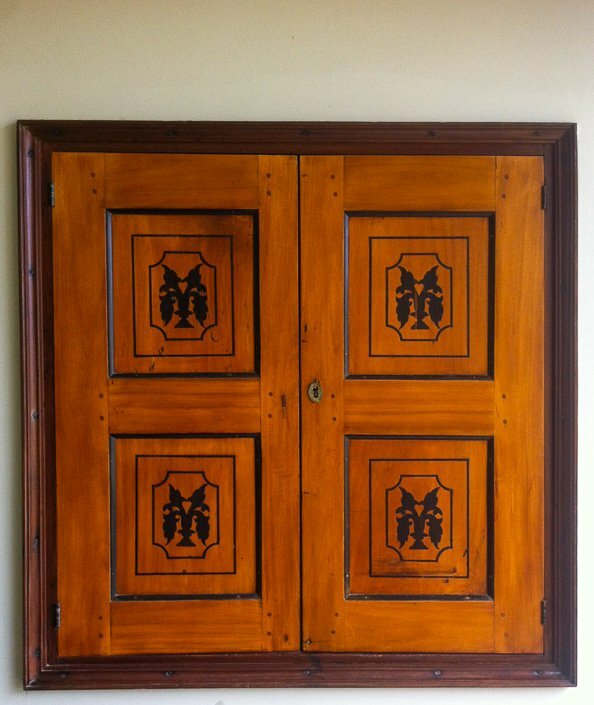 The doors and windows are made out of old used timber. The sea breeze together with the bricks, makes air-conditioning unnecessary. 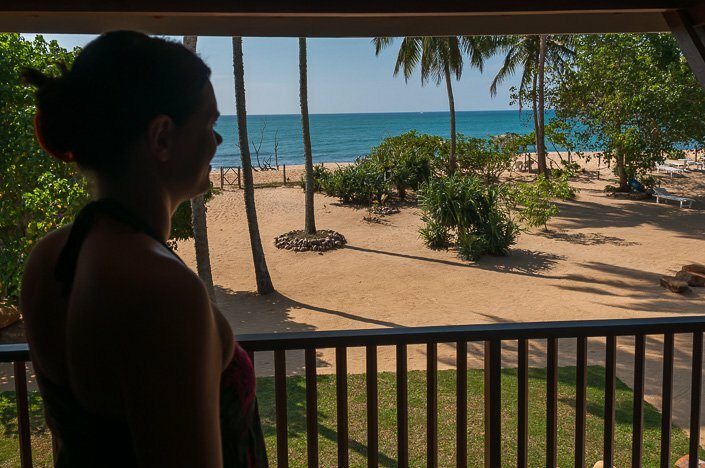 We totally fell in love with Serein Beach Hotel Sri Lanka. Even though it is small, it got a big heart! The people working there are so welcoming and sweet, they made our stay perfect and made us feel right at home! Both the manager and the owner are really nice, and we spent quite a bit of time sitting and talking in the evenings. They helped us with whatever we needed, like arranging transportation and hotel accommodation for our next stop in Ella. We loved this place so much, that we ended up staying there a whole week, even though we had originally just booked for three days :). We will definitely come back one day! 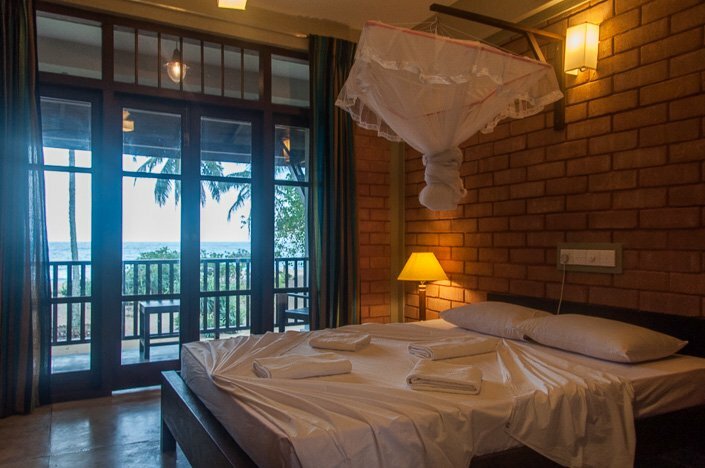 If you are going to Tangalla, you really MUST stay at Serein Beach Hotel! I am really struggling with finding something “negative” to say about this hotel. But if I have to find something to put my finger on, it has to be that there is no internet in the rooms. There is only wi-fi in the restaurant. 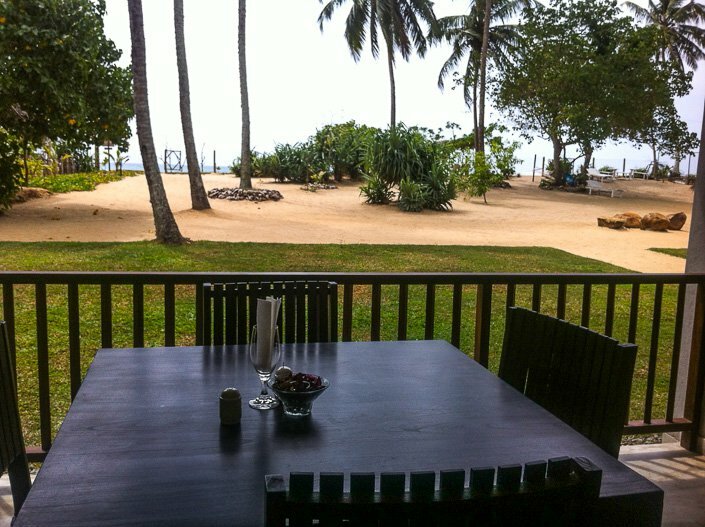 In my opinion, Serein Beach hotel has the best location in Tangalla, right in front of the most amazing beach! Read more about the beach here. We also got to experience a unique rescue of a sea turtle, which you can read more about and watch a video from here. Maria is a Norwegian travel nerd, who has explored more than thirty countries on four continents. She holds a masters degree in Computer Science, as well as an MBA. See our about page for more about Maria. What a view!! The place looks simple but yet so elegant! Would love to stay there someday! I love hotels like this, boutique, simple, great view an welcoming! You practically have a private beach which looks amazing!! Kos deg masse i Sri Lanka og Tangalle!!! Skulle virkelig ønske vi var der vi også nå…..
Tusen takk for at du tok deg tid til å kommentere Renate, hjelper på motivasjonen for å holde blogginga i gang. Going there in November – can’t wait! Great! Hope you`ll like Serein Beach Hotel as much as we did. Please do report back how your stay was. 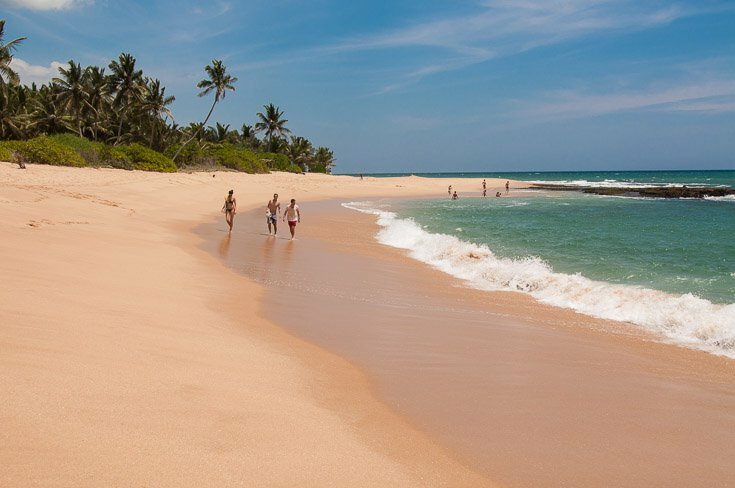 Have a great trip to Tangalle in November! You will love this stunning beach! I Think you missed some beautiful place, Between Colombo and Tangalle there exists a beautiful river called Madu Ganga. Thank you so much for tipping us about this river! Another reason to head back to Sri Lanka. Hope to be back soon. Facilities: Restaurant, breakfast is included (which is delicious! 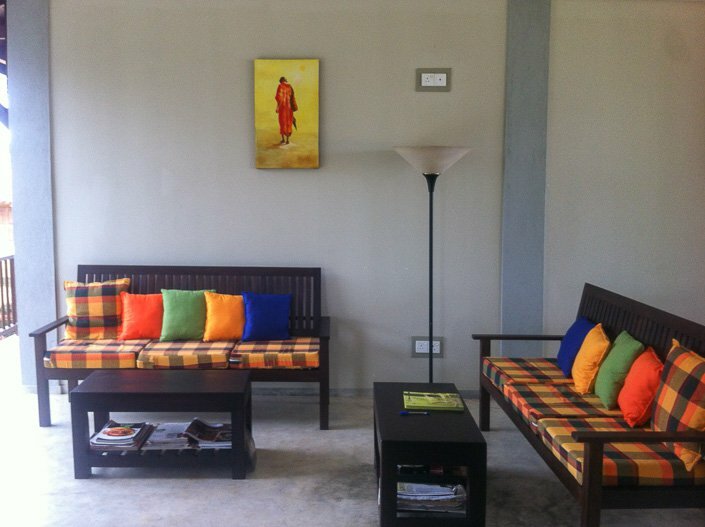 ), private bathroom with hot water, balcony, fan, water boiler, wi-fi in the restaurant/ lobby. No air-condition (not needed!) and no internet in the rooms.